Popular auto maker in India, Tata Motors has continued to witness strong year-on-year growth in certain key segments in August 2015, with passenger cars (excluding UV’s), M&HCV and Exports, growing by 19%, 31% and 16%, respectively. The total sales of Tata Motors passenger and commercial vehicles (including exports) were flat at 40,680 vehicles sold in August 2015, over 40,883 vehicles sold in August 2014. The domestic sales of Tata commercial and passenger vehicles for August 2015 were at 35,478 nos., a decline of 3% over 36,403 vehicles sold in August 2014. Cumulative sales (including exports) for the fiscal at 1,97,344 nos., higher by 4% over 1,90,516 vehicles, sold last year. The growth trend was driven by the cars segment, specifically the new launches. The sale of the passenger cars in August 2015 were higher by 19% at 9,814 nos., compared to 8,229 nos., in August 2014. UV sales declined by 50% at 1,380 nos., in August 2015. Cumulative sales of all passenger vehicles in the domestic market for the fiscal are 53,232 nos., higher by 19% over last year. In commercial vehicles, M&HCV sales continued to grow at 12,017 nos., higher by 31%, over August 2014. The Light & Small Commercial Vehicle sales however continued to reflect industry decline and were at 12,267 nos., a decline of 25% over August 2014. 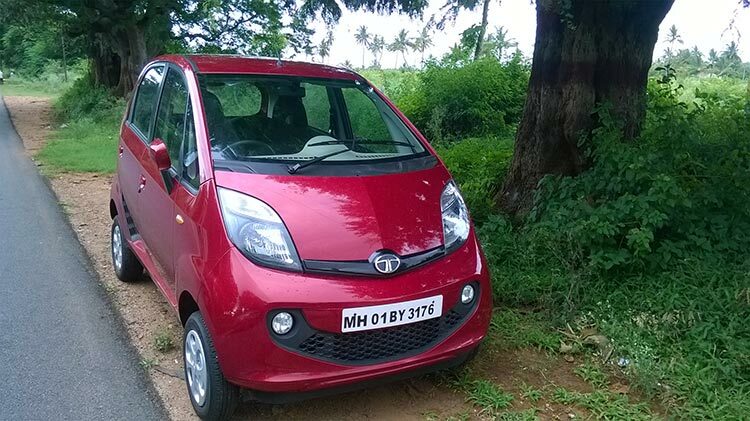 These impacted the overall commercial vehicles sales for Tata Motors in the domestic market, that were at 24,284 nos. in August 2015, a decline of 4% over August 2014. Cumulative sales of commercial vehicles in the domestic market for the fiscal was 1,20,322 nos., lower by 5% over last year. Cumulative LCV sales was 64,080 nos., a decline of 20% over last year, while M&HCV sales at 56,242 nos., were higher by 21%, over last year. The company’s sales from exports were 5,202 nos., in August 2015, higher by 16% compared to 4,480 vehicles in August 2014. The cumulative sales from exports for the fiscal at 23,790 nos., were higher by 25%, over 19,070 nos., sold last year.